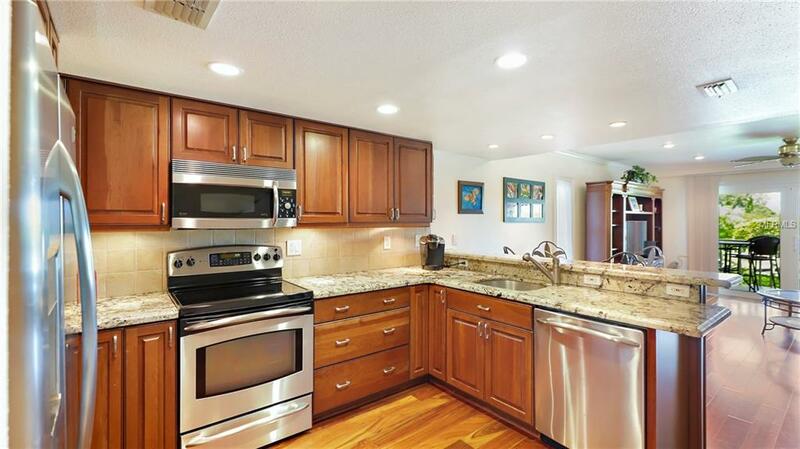 Waterfront 3BR,3 Bath Townhome updated with fine materials. Extensive upgrades include Miami-Dade Impact windows/sliding doors/entry door. Velux skylight with motorized solar blind, water softener, smart thermostat, teak floors on first living area. 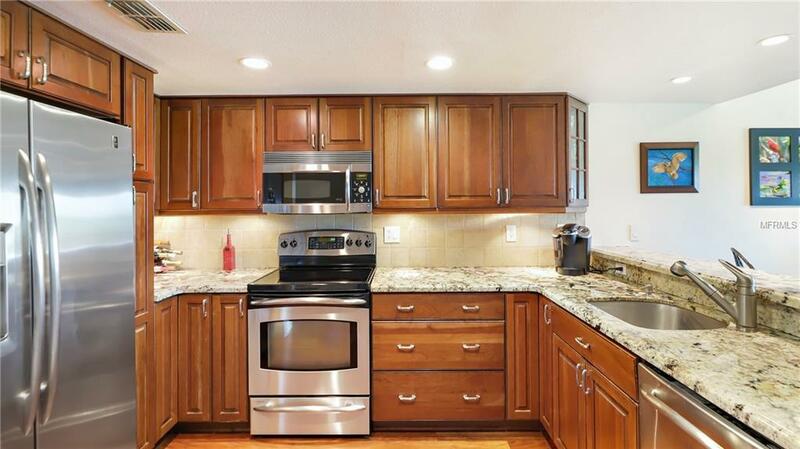 Kitchen with GE Profile stainless appliances,convection/microwave oven,exotic granite counters,cherry cabinets with chocolate glaze and eat-at-bar countertop. Enjoy relaxing water views and lush landscaping from your covered balcony located directly off the living area. Floor plan features two master bedrooms:Waterside bedroom with vaulted ceiling,ensuite bath and views of the Sunshine Skyway Bridge. Second Master bedroom has large full bath and outside deck area. A spacious loft with skylight is on the upper level and can be used as a bedroom, office, media room, or exercise room. The third bedroom is on the first level and is currently used as an office.Home has updated electric panel, textured ceilings, solid core doors and brushed nickel hardware. The ground floor bonus room opens to a private patio area for grilling and gardening. The 15x17 bonus room is not included in the 1620 square footage. Pirates Cove is a pet friendly community that allows 2 large dogs. Pirates Cove is lushly landscaped with acres of park-like green space with a natural shoreline of mangroves. 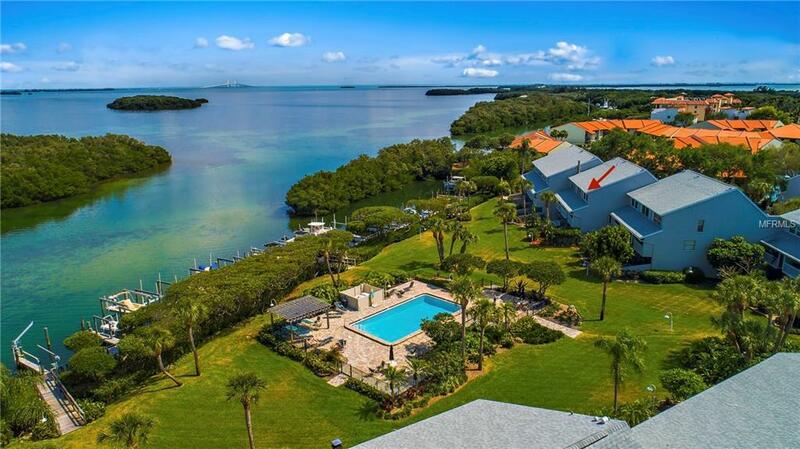 Island living at its finest with Manatees, Ospreys and Dolphins as your neighbors. 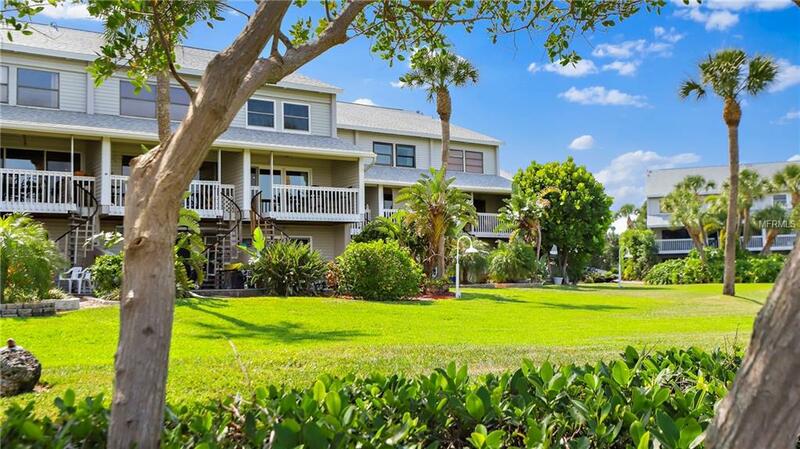 A tropical paradise located minutes from Fort DeSoto Park, beaches, shopping and downtown St. Petersburg.